The Canon Powershot A495 is a 10 Megapixel budget compact with a 3.3x zoom lens and a 2.5in screen. 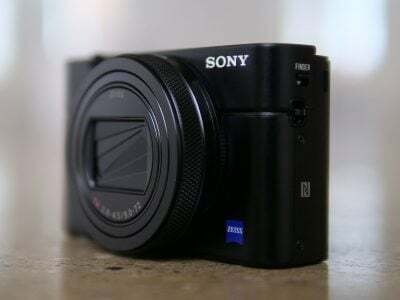 Released in January 2010 it replaces the popular PowerShot A480. 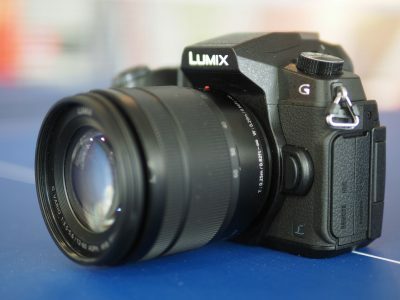 Though slightly restyled, the new camera closely resembles its predecessor, with the same lens zoom range, sensor resolution and LCD panel size. It’s available in a choice of three colours, silver, red and blue. Released concurrently, the PowerShot A490 is the same camera with slightly less sophisticated automatic scene detection, fewer scene modes and a more basic auto focus system. The A490 is available in silver only, and in the UK is sold exclusively through Argos stores. At this end of the compact market competition is fierce and consumers are faced with a choice of budget models some of which provide, on paper at least, superior features at a comparable price. There’s also the temptation to spend a little extra in the hope of getting a lot more camera for your money. Is either of these a realistic choice? To find out we tested A490 / A495 alongside the next step up in the A series, the Canon PowerShot A3000 IS / A3100 IS. We also pitted it against Nikon’s highly capable new budget compact, the COOLPIX L22. Read on to discover which is the best buy. The PowerShot A490 / A495 retains the slight wedge-shaped design of the A480 with smoother more rounded edges. Given the A480 was 25 percent smaller than the camera it replaced – the A470 – it’s perhaps no surprise this time round there are no more savings to be made. Indeed the A490 / A495 has the exact same weight and dimensions as the A480 it replaces. Compared with the PowerShot A3100 IS / A3000 IS the A490 / A495 is bulkier and heavier. The AA batteries which power it are responsible for much of that and it’s interesting Canon has chosen to replace them with a Lithium Ion cell in the A3100 IS / A3000 IS, but not in this model. The Nikon COOLPIX L22, with its organic curves is slightly bigger and heavier than the A490 / A495, but in our view looks better. If you put the three cameras in a row with the A490 / A495 first and the A3100 IS / A3000 IS last it looks like the camera equivalent of evolutionary development. A plastic cover on the right conceals the A/V connector and DC power socket and on the bottom panel a slide and pop out door reveals the AA battery and SD card slot. Like most 2010 compacts, the PowerShot A490 / A495 can take the latest SDXC cards, along with older SDHC and SD formats. The arrangement of physical controls on the A490 / A495 is minimally functional. On the top a matt-finished lozenge-shaped on/off button sits alongside a big shutter release button. On the rear panel are the zoom rocker, playback mode button, four-way control pad with central Func Set button, shooting mode button and menu button. The four-way control pad is used for navigating menus and provides one-touch buttons for exposure compensation, flash mode, self-timer and macro and infinity focussing. The A490 / A495 control layout differs from the usual Canon arrangement in that it lacks a mode dial. Instead a single button on the rear panel fills this function, activating a menu from which you can select Auto, Program, Movie or one of 13 scene modes (11 on the A490). Another button that’s conspicuous by its absence is the Display button that on other Canon models toggles the information overlays in capture and playback modes. On the A490 / A495 these have been moved to the Shooting menu. We think this is a good idea and one that could be adopted on other models making for a simpler, less cluttered physical layout. The A490 / A495 has a built-in flash unit with a maximum range at the wide angle zoom setting of 3 metres. The flash automatically fires when the conditions demand it and Canon’s new Smart Flash system automatically adjusts the illumination for the prevailing conditions, for example using the flash to fill-in shadow detail in daylight exposures. In most shooting modes the flash can be disabled or forced on, and Program mode has a slow synchro setting. The camera has a double-pronged approach to dealing with red-eye. You can set the AF assist lamp to illuminate just prior to making a flash exposure, causing your subject’s pupils to contract thereby reducing the potential for the retinal reflection that causes red-eye. If that doesn’t do the trick you can activate red-eye correction which post-processes images to remove red-eye in the camera. AA-powered A series PowerShots have rarely been quick to recycle the flash between shots and the A490 / A495 is no exception. With the supplied AA alkaline cells the flash took up to seven seconds to recharge between shots. Though Canon has decided to go with a Lithium-Ion cell for the PowerShot A3100 IS / A3000 IS, the PowerShot A490 / A495 follows previous A series PowerShots in using a pair of AA batteries for its power source. Each system has it advocates and detractors, advantages and drawbacks. As we’ve seen the flash recycling time is snail-like and the number of shots you’ll get with a with AA alkaline cells is a paltry 150. Replace those with NiMH or Lithium cells, though, and that number will increase significantly. The A490 / A495 documentation doesn’t quote CIPA figures for anything other than alkaline cells but Nikon does and the figures for the COOLPIX L22 are 240, 420 and 660 for alkaline, NiMH and Lithium cells respectively. The PowerShot A490 / A495 has keeps the 6.6-21.6mm (37-122mm equivalent) zoom lens of its predecessor the A480. A 3.3x zoom provides just what you need to be able to nicely frame shots without the need of doing a lot of moving around, but it only just reaches into the focal length ranges that lie outside of the ‘standard’ field of view range. 37mm only just takes you into territory that could legitimately be described as wide angle and at the opposite end 122mm, while useful for portraiture, isn’t going to get you close enough for sports, wildlife, or other subjects that are more than a few metres from your lens. When you press the power button the black lens barrel extends by 23mm and the camera is ready for action in around two seconds. The zoom rocker takes you smoothly, rapidly and a little noisily the short distance from wide to tele in under a second and a half. As you can’t use the optical zoom while shooting video the noise isn’t really an issue unless you’re taking pictures somewhere quiet like a museum, or in church, where it’s going to make you the centre of attention. Nudging the zoom allows you to take six discrete steps through the range and, though a little more control would be nice, given the short range, it’s adequate. Of the three cameras tested the A490 / A495 has the shortest zoom range starting at the same 37mm wide angle as the Nikon COOLPIX L22 but falling short of it’s 134mm telephoto reach. Somewhat disappointingly, the A490 / A495 lacks Canon’s optical image stabilisation system. As we’ve seen seen with the PowerShot A3000 IS / A3100 IS, Canon’s optical system for reducing the effects of camera shake makes a very real difference to the potential for getting good hand held shots in low light, adding an extra three to four stops of compensation. It’s a shame not to find it here, but that’s the downside to many budget compacts. The A490 / A495 has two auto focus modes which are selected from the camera settings menu. The default mode is Face AiAF which detects when there are faces in the frame, locks focus on them and tracks them as they, or the camera move. If there are no people in the frame, the system defaults to a multi-region AF system which detects and focuses on areas within the frames that it identifies by edge contrast. The AF system is implemented differently in the A490 and A495. The A490 having a five area AF system and the A495 a nine area system. In practice what this means is the A490’s auto focussing may be slower in certain situations where it can’t find an edge using one of its five AF regions. For people shots, both cameras initially select a main subject and two secondary subjects (on the A3000 IS / A3100 IS you can change the main subject using the Face Select button, but this isn’t available on the A490 / A495). When you put first pressure on the shutter release the A490 then focuses on up to five faces and the A495 on up to nine. You can also set the Auto focus system to use a single central AF region and this can itself be set to one of two sizes, the smaller size providing a kind of point focussing option. Used in conjunction with focus locking, which locks the focus temporarily when the shutter is held halfway down and AF lock, which permanently lock the focus, centre AF provides more control than the default method, allowing you to point and focus, then recompose before shooting. The A490 / A495 has a 2.5in screen with 115k pixels. While once the standard, 115k pixel screens are now being superceded, even in budget models, by higher resolution 230k pixel screens with often larger dimensions. For example, the affordable COOLPIX L22 has a 3 inch 230k pixel screen and the A3100’s upgraded 2.7 in screen now also boasts 230k pixels. That said, the A490 / A495’s screen is bright, contrasty and displays vivid colours and the number of pixels is less of an issue than the physical size. The A490 / A495’s screen is the smallest of the three cameras on test and that not only makes it harder to compose shots, it makes review and playback a less pleasurable experience. The A490 / A495 uses the standard Canon menu system which puts many of the most frequently used functions on a menu that’s activated by a single press of the Func Set button. The Func menu contents are dependent on the shooting mode. For example in Auto mode you can only set the image size and compression. In Program mode, however, a wider range of options presents itself including ISO sensitivity, white balance, colour rendering, metering mode and continuous shooting. Pressing the Menu button calls up a two-tab system with Camera settings on one and Shooting settings on the other. Camera settings include less frequently accessed options like sound settings, file numbering options and power saving and it’s also where you go to format memory cards, an option that’s presumably been put a little out of the way to avoid the risk of unintentional activation. On the Shooting settings menu, among other things, you’ll find AF settings, digital zoom settings, Flash settings and display overlays. In playback mode a playback menu provides slide show settings and some basic editing functions. It’s disappointing that Canon’s recent Hints & Tips feature which provides a short description of selected menu functions is absent on a model so clearly aimed at novice and casual photographers. The A490 / A495 has four shooting modes – Auto, Program, SCN and movie. The Auto mode uses Canon’s Intelligent Auto exposure system which identifies the scene in front of the camera. Intelligent Auto determines whether there are people in the scene, if it’s a landscape, or if there are subjects very close to the lens, it then analyses the lighting conditions to work out if it’s bright or dark and if the main subject is backlit. Once it’s worked out which category a scene fits into it displays the appropriate scene mode icon in the top right corner of the screen. Most of the time Intelligent Auto gets it right, though it can occasionally have trouble recognising people. If it can’t make sense of a scene it defaults to auto exposure without scene recognition. Intelligent auto is another of the areas where the A490 / A495 differ, the former having 13 recognised scene modes and the latter 18 including a Landscape Sunset mode. Program mode drops the scene recognition and provides control over a range of settings falling short of any kind of manual exposure control. You can, however change the ISO sensitivity, white balance, colour rendering, metering mode (evaluative, centre-weighted average or spot), continuous shooting mode, compression and image size. There are also a variety of scene modes to choose from, 11 on the A490 and 13 on the A495. Scene modes common to both models include Portrait, Night Snapshot, Kids & Pets, Indoor and Beach. Both models also feature Canon’s new Low Light scene mode which takes 1600 x 1200 pixel shots at high ISO settings. The A490 also has a Sunset scene mode which goes some way to compensating for the lack of sunset recognition in its Intelligent Auto system. The A495 has a vivid colours, and posterized effect scene modes in addition to Face Self-Timer, which starts the self-timer count down when a new face enters the frame. Like the PowerShot A3000 IS / A3100 IS, the A490 / A495 can shoot movies at VGA 640 x 480 pixel resolution at 30 frames per second with a long play version of the same format which compresses the video into a file half the size. There’s also a 320 x 240 pixel 30 fps size. Files are saved in a AVI wrapper using a Motion JPEG codec. Shooting video is one activity where the lack of optical image stabilization really shows, particularly at the longer focal lengths. As with most Canon compacts you can’t use the optical zoom while shooting – instead you have to zoom first, then film, or make do with the digital zoom and the pixellated results it produces. There’s a continuous shooting limit of 4GB or one hour of footage. Registered members of Vimeo can download the original file shown here for closer evaluation. In our continuous shooting tests the A490 / A495 managed 0.73 frames per second – slower than the 0.9 frames per second stated in the manual. The A495 was a little erratic, slowing down after the first couple of frames, then speeding up a little before finally settling down to a consistent rate. Either way, it’s way too slow to be of any use in action situations. Changing the image resolution to the M3 1600 x 1200 setting resulted in an improvement to 0.93 frames per second. In Low Light mode, which also shoots at the M3 resolution the A495 managed a more respectable 2.63 frames per second. It’s a bit of a shame you have to set low light mode to achieve this frame rate though, as even in bright sunlight it won’t drop below 400 ISO. The A490 / A495’s 1/2.3in CCD sensor has 10.3 million pixels producing a maximum image size of 3648 x 2736 pixels. It has two levels of JPEG compression, normal and fine, the latter producing images around 3MB and able to be printed up to 12 x 9 inches. To see how the quality of the PowerShot A490 / A495 measures-up in practice, take a look at our real-life resolution and high ISO noise results pages, browse the sample images gallery, or skip to the chase and head straight for our verdict.